Denny Jump (Bellevue, WA, United States) on 5 March 2017 in Animal & Insect. I captured this image 3 years ago when we still lived in Pennsylvania. I hope you like it - it's still one of my favorite images . A bit crowded over there ;-) ! They always carry that wonderful sense of Freedom ! Too bad we can't also hear them honk!!! A fantastic image! Wanted to take a trip to Blackwater Wildlife Refuge to see the snow geese but don't think it will happen anytime soon. It is always amazing to see and hear so many birds together! 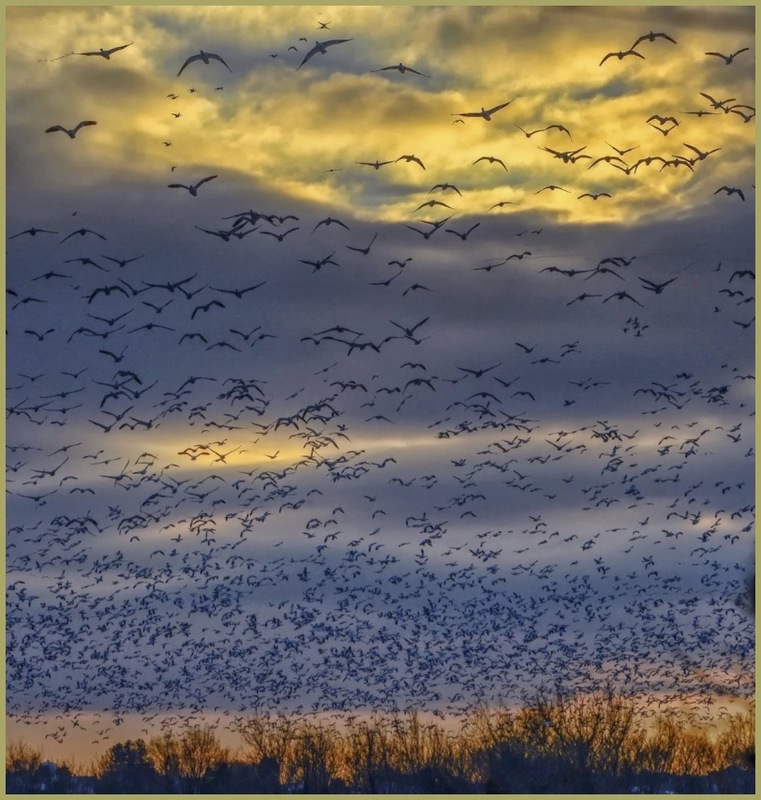 It is a sensational image with birds as far as the eye can see, set superbly against wonderful clouds. A gorgeous image of this cloud of geese going overhead. The noise must have been something else. @Steve Rice: I was fairly close to these guys when I shot this series of images 3 years ago - it was less than 2 miles from our house in Easton, PA....anyway, it was LOUD man!! I a year later I wised up and took my cell phone to another location and I recorded geese on video ...I will try to share that piece soon on AM3 - the scenery is not as good by a long shot, but it's a great to hear and see them ;-) Thank You, Steve! Wow ! Colors and bunch of birds are stupendous like a painting ! 5***** for U dear pal ! Thanks for the link to the video Dennis - the sounds was indeed something to behold!